Záslepka autorádia palubní desky v základním laku. Radio closing panel, a radio is at Volkswagen always been an option, but most of the models here were well prepared. The place where the radio was sitting was closed with a separate closing panel. 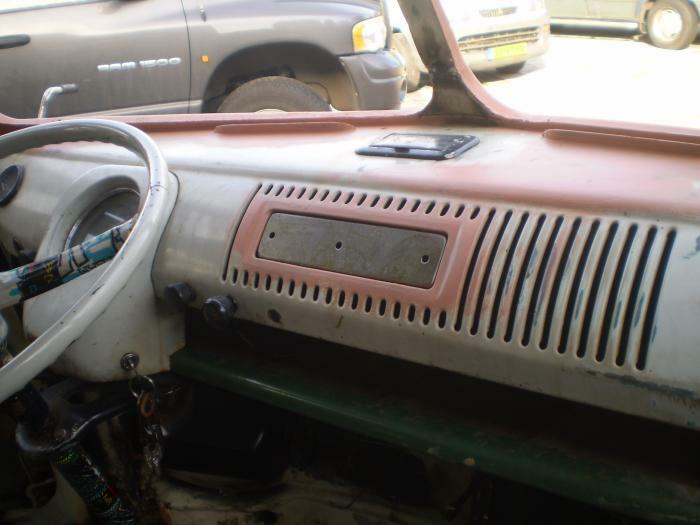 For most cars, this plate is removed to make room for the radio, when you volkswagen back to the original factory condition would bring is to find a radio shutdown panel easier said than done, these panels are mostly discarded after placing a radio. That was the reason for this again to produce. The following radio panels are identical to the original untreated or zinc spray painted. The Beetle 1200-1300-1500 and 1302 of 8/1967 and later, you can shut panel # 4549, but keep in mind that this panel is intended for a trim, who originally ran over, the trim holes so you should close welding.